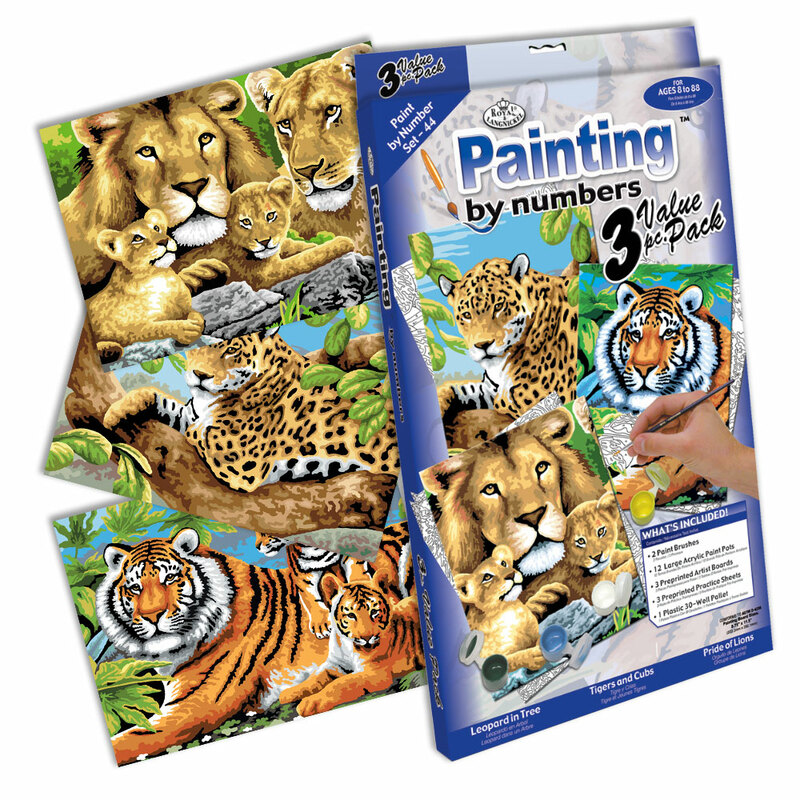 A lovely box set of 3 painting by numbers pictures of 3 wild cats. In the box set you will receive 3 printed pictures, the required paints, a brush and full instructions for each painting. You can spend many quiet, relaxing hours, as you creative each wonderful picture in your own time. Once complete, you can frame them and display them in your home. the box set will also make a great gift idea for your family and friends.